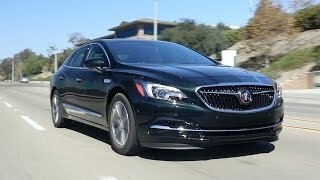 Finally at the 2015 LA Auto Show, Buick introduced its luxury sedan Buick LaCrosse 2017. Carrying design cues from the recently unveiled Buick Avenir Concept 2015, the model is speculated to give a competition to Lincoln’s luxury sedan. 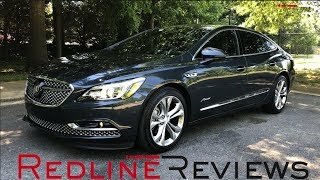 Let us have a closer look at its newly amalgamated features and specs through the review of Buick LaCrosse 2017. The interior of Buick LaCrosse 2017 gets some redesign over the concept version. Starting with the stylish dashboard made from wood with those curvy and horizontal lines making it more appealing. The model comes mounted with floating center console which undoubtedly looks gorgeous and comes drenched in wood and leather. However there is one change in comparison to the concept and it is with the smaller touchscreen. Still the inclusion looks smart with the trapezoidal chrome frame and pair o A/C vents fitted inside the same element. Inside you’ll notice use of high end materials like wood trim, French stitching and aluminum steel plates. Seats come with massage feature and bring the perforated leather work while the steering wheel has heating feature with power tilting and telescoping steering column. In all with all its superior features, the interior of Buick LaCrosse 2017 will give you a high-end experience. 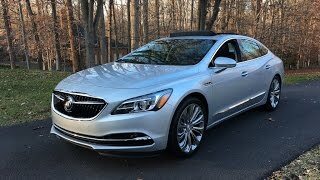 The exterior of Buick LaCrosse 2017 is remarkable. The first thing that you’ll notice in it will be the superfluous distinct waterfall grille carried ahead from the concept version. Above there is a sculpted hood giving a touch of aggression while the front bumper gets some revisions and has slim air intake with chrome strip adjoining glory. Moving towards the rear end you’ll notice the 18” wheels taking the model down the lane while the LED taillights are designed gorgeously. The deck is designed sportingly and has a longer stance with chrome inserts adding to looks with their presence around the taillights and further extending to the trunk lid. 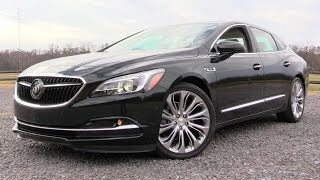 Thus rounding up the exterior details of Buick LaCrosse 2017 I would just say, the model looks aggressive, sportive and luxurious. 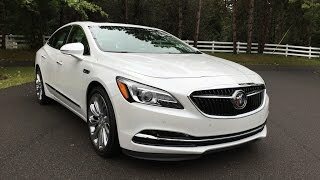 Beneath the hood of Buick LaCrosse 2017 is the powerful 3.6 liter V6 DI VVT engine generating total output of 305 hp and peak torque of 363 nm mating to eight-speed electronically controlled automatic transmission overdrive with torque converter clutch. The performance figures of Buick LaCrosse 2017 are still not revealed but we expect them to have in near future.